2014 was a year of changes (and a fair amount of soul-searching). For the previous two years we had a lot of other things going on with Delano United projects, the oil fracking fiasco and our personal lives, so Historic Delano kind of ran on auto-pilot. 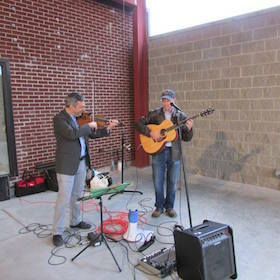 We did the St. Patrick's Parade (larger than ever of course) and the Ghost Tour; and we assisted with Amber Waves, a new fund-raising event for Starkey. The biggest change was that Nancy and her sister Zandra closed Central Plains Novelty after 27 years. Much of Nancy's time since mid-2013 had been spent helping her sister close up shop, sell the inventory and fixtures, fix up the building and get it leased. Jim was also kept quite busy since late 2012 with construction projects at his new house as well as getting two other houses ready for market. With neither of us spending time in downtown Delano on a daily basis any more we needed a change of direction. After the fracking fiasco one thing became clear - we needed to redouble our efforts to get an appropriate plan for the triangle patch of land near the new library. We decided to focus our energy on helping Delano United acheive the goals layed out in the Delano Plan. In particular we wanted to promote development of the Chisholm Trail Parkway (the proposed multi-use greenway along the abandoned railway corridor), a project that we have championed for many years and one which we felt had been on the back burner for far too long. With all the plans being made for the area around McLean and Douglas, it was time to make sure that Delano's voice was heard. All of our spare time seemed to be taken up by endless meetings for this group or that - it was a period of networking, building alliances and exploring possibilities. So many opportunites presented themselves... and all of them demanded time and commitment. Then in August, just when we thought we had a new plan, we were contacted by Visit Wichita (previously Go Wichita / Wichita Convention & Visitors Bureau). Apparently the 150th anniversary of the Chisholm Trail was coming up in 2017 and cities from Texas to Abilene were planning events. Would Historic Delano come up with an event to represent the City of Wichita? A multi-use path along the abandoned railway north of Douglas (originally platted as Pearl Street) has been in the Delano Plan from the start. The section from McLean to Seneca has been in the City's Capital Improvement Plan (CIP) for years, but still remains unfunded. Plans for the new Delano Library and River Vista projects, and a Pedestrian / Biking Master Plan for the City have sparked a renewed interest in the project. One of the best things to come from the oil drilling proposal was our interaction with a lot of other organizations interested in biking, walking and fitness which took an interest in our bike/walk path. One of those organizations was the Greenway Alliance which announced in January 2014 that the Delano path was one of the projects that they wanted to facilitate. Before the Greenway Alliance got the ball rolling with this project it was just sitting on the back burner almost forgotten by many. Other people in the city started eyeing that property and without strong advocacy to keep it as a green space it could have been lost to development like the West Bank Stage was. Every project needs a name and after weeks of consideration we decided to call our path the Chisholm Trail Parkway. A committee was set up and work began. Informational handouts were developed and we met with important players in the bicycling, educational and recreational fields. The next step is to build widespread grass-roots support for the project and locate funding. The parkway is a top priority in the next couple of years for Historic Delano, Delano United and the Greenway Alliance. Our goal is to break ground on the project for the Chisholm Trail 150th Anniversary in 2017. 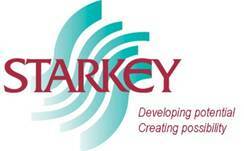 Amber Waves, a fund-raiser for Starkey, was held on May 16, 2014 and featured 13 Historic Delano businesses. The event was sponsored by Wells Fargo Advisors, LLC. Beer was provided by Standard Beverage. 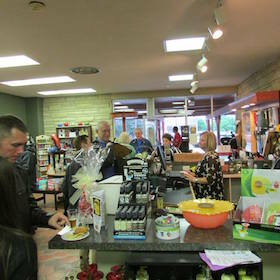 Participants were able to experience and enjoy a variety of specialty beers paired with tasty appetizers while browsing the eclectic merchandise in participating shops. 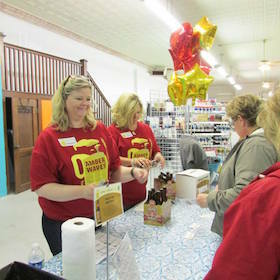 The 2015 Amber Waves will be May 15, 2015, back in Historic Delano. Mark your calendars and visit their website! 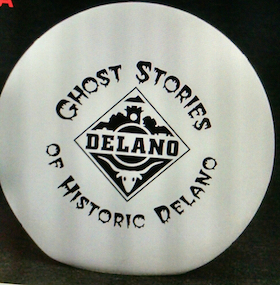 For the 2014 Ghost Tour we introduced color-changing glowing orbs with our new logo. It's only natural that Historic Delano would be asked to spearhead a Chisholm Trail celebration in Sedgwick County - we were the actual "cowtown." The City of Wichita has tried to shake the cattle town image for most of it's recent existence, but Delano has proudly accepted the label. Of course, we have some experience with a Chisholm Trail Celebration, since we created the Delao Fall Fair in 2004 to celebrate the Chisholm Trail and the dedication of the new Douglas Avenue Streetscape. We will be recreating this event the first weekend in October of 2017 with the intention of making it an annual event.